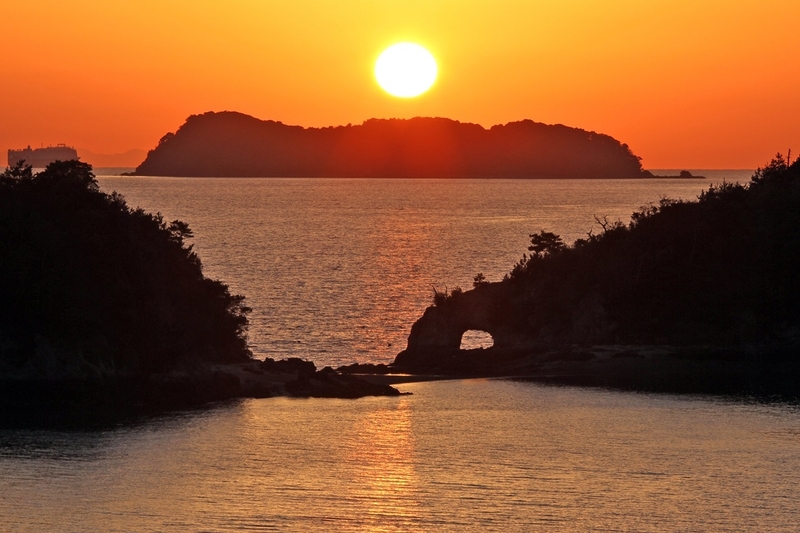 The sunset from Kasado island in Setouchi national park is one of the best in west Japan. Especially the sunset view with the "Hanaguri Rocks"(the rock with a hole made by erosion) is exceptional and visited by many photographers. The sunset in the winter is recommended for the madder red ocean.